Continuing the tradition of excellent Bible teaching, the speakers for the 2015 conference will be Randy Amos and Nathan Bramsen. If you are looking for a spiritually enriching vacation, rather than mere entertainment, this is your best choice. A conference for the whole family. Receive spiritual edification, renew acquaintances and make new ones, enjoy varied activities for all ages, see the sites around Southwestern Virginia. Now Skyland Bible Conference is even more affordable for large families. The conference offers a $75 discount for each immediate family member over three (3) members. So the larger the family, the more you save! For example, a family of five can come to Skyland for a whole week - lodging, meals, lots of fun, as well as spiritual enrichment for less than $800. Compare that with any other vacation setting and you will find Skyland to be a real bargain - spiritually and financially. Everyone is encouraged to sign up by May 15th so that the conference staff can plan effectively. 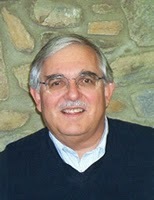 Randy Amos: Randy has a wide ranging preaching, teaching, and writing ministry for the glory of the Lord Jesus Christ. He travels throughout the US, Canada, and sometimes farther afield and has been a great blessing to the people of God, persuading men everywhere of the truth of the gospel and of God’s Holy Word. Randal and his wife, Sylvia, reside in Oregon. 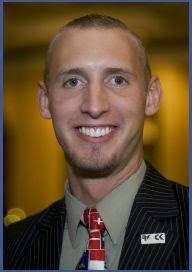 Nathan Bramsen: Nate was born and raised in Senegal, West Africa to missionary parents. From an early age he has been burdened for the underprivileged children of the world. He founded ROCK International for the purpose to minister to these children. Currently, he oversees various international development projects, youth discipleship ministries, and carries out a limited itinerant speaking schedule. His heart is to see this generation become unconditional followers of Jesus Christ. There are both air conditioned and non-air conditions rooms available. You can choose the comfort of air conditioning or save a little money and enjoy the moderate climate of Bluefield summers where the average high temperature for July is a temperate 81 degrees. Shared Bath - This is two rooms that are adjoined by a bath. This is ideal for families with children and even single individuals that are rooming with friends. Private Bath - While there really are not any true private bath rooms on the campus, there is plenty of room to create private bath situations. Essentially, you will be assigned one half of a shared bath and no one will be on the other side. In this location, temperatures can vary. Bring clothes for both warm and cooler weather. We request that dress is modest for all occasions. Short shorts, bare midriffs, short dresses or skirts should not be worn. Modest shorts are permitted at the meetings. In an effort to encourage unity and spiritual growth, we ask that no televisions, video players or gaming consoles be brought onto the premises. Smoking, drugs, alcohol, fireworks and weapons are not permitted. See the Activities page for more information. The 2015 conference will begin with the evening meal Saturday, June 27 and conclude with breakfast Friday, July 3. * A nursery is provided for all adult meetings (ages 0-4). 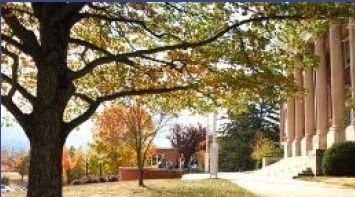 The 59th annual Skyland Bible Conference will be held at Bluefield College in Bluefield, Virginia. A detailed map of the conference activity locations is now on the directions page. For detailed directions to Bluefield College see our directions page, or you may visit the college web site for their directions to the campus. The 2015 Skyland Bible Conference will be held during the week of June 27-July 3, 2015. For us to adequately prepare for your stay, please as soon as possible. Please indicate the number of attendees in your party, by type of room desired. Availability of some room types are limited and will be assigned on a First Come, First Serve basis. After completing the form, please mail it to the following address with a check for the Registration Fee. Or, use our new Online Registration process. Online payments via PayPal are now accepted! More information regarding conference rates are located on our Registration Page. © 2005-2014, Skyland Bible Conference. Web Design by Wes Patterson. Awesome Inc. theme. Powered by Blogger.